There are plenty of context clues to pinpoint the location of this transit photo. The building to the right is now apartments and shops and the house on the left of the photo is still standing. If we were to pivot the camera, we’d be looking at the Danforth campus at Washington University. 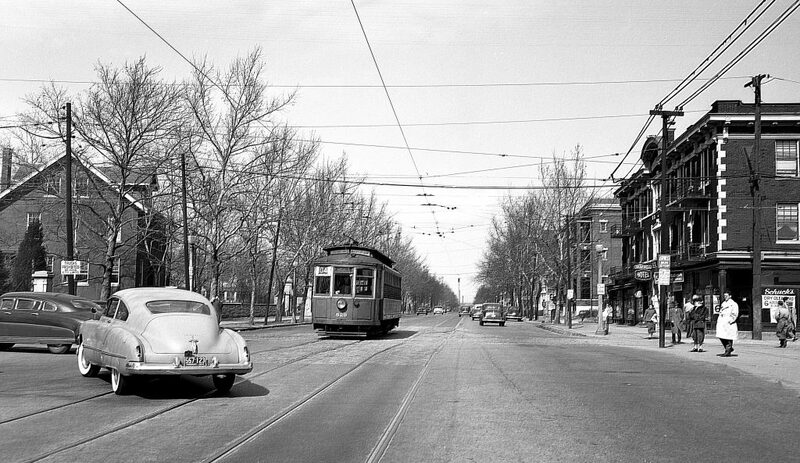 This photo was taken at the intersection of Skinker and Milllbrook (what is now Forest Park Parkway) on March 3, 1949. Have a great weekend St. Louis. Stay warm!